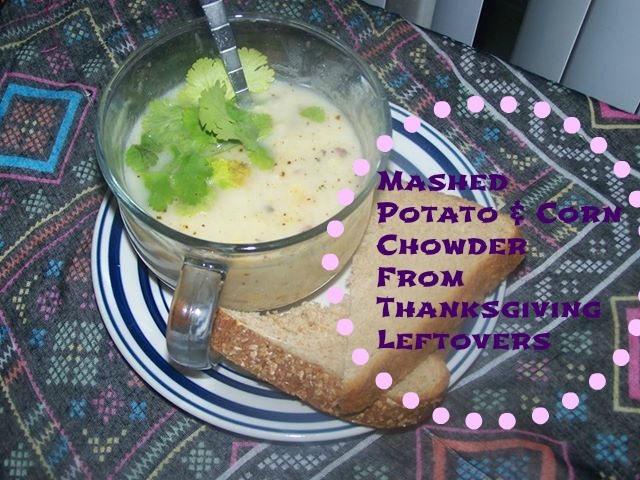 This soup is so good and it uses up all the leftover mashed potatoes and corn casserole from Thanksgiving! I do admit I wasn’t sure how this soup was going to turn out. It’s the first year I have made mashed potatoes with sour cream and chives for Thanksgiving but everyone loved them. Our corn casserole was pretty simple. A can of cream of chicken soup, one sleeve of crackers from a cracker package package crushed and a bag of corn. I mixed it all together and tossed it in the oven for 30 minutes. In large saucepan add all ingredients except dried herbs. Mix until hot and top with dried herbs. Serve!